Previous operators of the Mt Todd mine site developed the upper levels of a deposit that contains iron sulfide (in the forms of pyrite and pyrhhotite) and other sulfide minerals. Technical, operational and economic factors of the time however, contributed to the failure and subsequent abandonment of the project. Furthermore, inadequate closure and rehabilitation created circumstances that have resulted in the generation of significant quantities of contaminated water on the Mt Todd site. This contamination is a direct product of the oxidation chemistry of sulfide minerals, similar to a nail rusting. Most of the contaminated water on site originates in the waste rock dump, with comparably minor amounts generated by the heap leach and the low-grade stockpile. The contaminated water is broadly known as acid rock drainage (ARD) or acid metalliferrous drainage (AMD) and contains elevated levels of various metal ions. The last operator of the Mt Todd mine ceased operations in 2000. Vista Gold became involved in the site in 2006 and in January 2007 took over management of the site from the Northern Territory Government. Vista Gold has entered into an agreement with the Northern Territory Government which sees the transfer of the responsibility for the rehabilitation of existing disturbance and water rehabilitation move to Vista Gold when a “Financial Investment Decision” is made by Vista Gold to bring Mt Todd back into production following the receipt of environmental and mining authorisations. Vista Gold has worked with the Department of Mines and Energy (previously the Department of Primary Industries, Fisheries and Mines and then the Department of Resources) to develop a site water management plan using the pumping and piping infrastructure that belongs to the Northern Territory Government and has managed the water on site in accordance with the approved Mine Management Plan and Waste Discharge License. Additionally, Vista Gold reports on its water management program prior to the start and at the end of each wet season to the multi-stakeholder group known as the Mt Todd Mine Site Rehabilitation Reference Group. 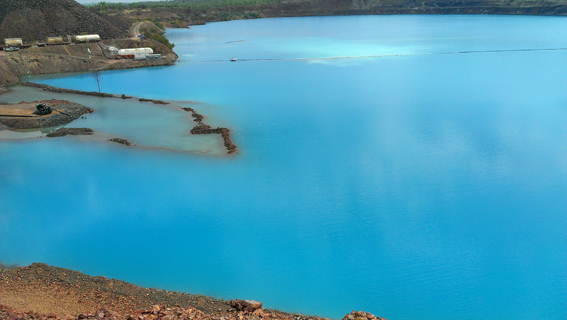 The principle focus of Vista Gold's water management program has been to protect the quality of water in the Edith River. Those familiar with the weather patterns of the Northern Territory understand that the amount of rainfall is generally related to tropical low pressure systems and can be regionally diverse and locally intense for short to intermediate periods of time. The majority of precipitation at the Mt Todd site can be attributed to 6-8 events each year. The intensity of some storms has resulted in localised flooding and filled retention ponds in periods of less than 24 hours. 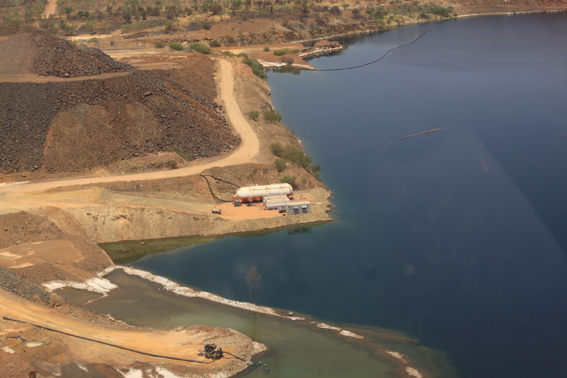 Each year Vista Gold and the Northern Territory Government update the water management program in an on-going effort to improve the effectiveness of this program. The key component to the water management program has been controlled discharge of water from the site and storage of the excess volumes of water. This management strategy is limited by the storage capacity on site. Vista Gold has proactively implemented technology and practices to improve the water management practices. In 2008 Vista Gold purchased and installed a lime silo, slaker and mixing tank to treat the water that was pumped from the retention pond below the waste rock dump. In 2011 Vista Gold advocated for an in-situ water management plan that would see the water treated directly in the Batman Pit. 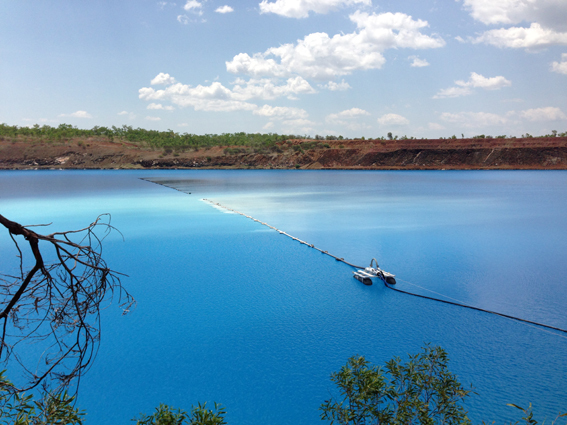 Extensive testing in the first half of 2012 led to Northern Territory Government authorisations and funding commitments from Vista Gold Corp. for extensive water treatment in late 2012 and early 2013. Vista Gold demonstrated that the in-situ treatment of contaminated water with finely ground calcium carbonate (limestone) and quicklime significantly reduced all dissolved metal concentrations and neutralisation of the acid. Furthermore, Vista Gold continues to evaluate secondary treatment methods that could be used to subsequently improve the quality of the treated water even further. The treatment of water has been undertaken with the goal of producing water that can be discharged at rates that continue to protect the quality of the Edith River. Ecotoxicological testing has been undertaken to determine the appropriate mixing ratio. New pumping equipment has been installed in the Batman Pit which uses real-time telemetry data to vary the amount of water being discharged to ensure compliance with the appropriate mixing ratios. In addition, macro-invertebrate testing and sediment sampling has been completed on an annual basis to assess the health of the macro-invertebrate population in the Edith River with comparative testing completed in the Ferguson River. Looking forward, Vista Gold plans to construct a water treatment plant as part of the re-development of the Mt Todd project. Current plans call for an investment of approximately $30 million in a water treatment facility that will have sufficient capacity to treat the volume of the contaminated water presently generated on site on an annual basis. This will enable Vista Gold to discharge clean water when required. Vista Gold is committed to ensuring that present conditions are not repeated following the final closure of the Mt Todd mine. Mine closure and rehabilitation planning has been completed to ensure that the waste rock dump and tailings storage facilities are closed and rehabilitated in a manner that employs best engineering principles and practices. The planning and funding for the redevelopment of the Mt Todd project includes the funding of an appropriate rehabilitation bond with regular review of the adequacy of the calculated bond amount. Vista Gold welcomes constructive feedback with regards to its water management and water treatment programs.